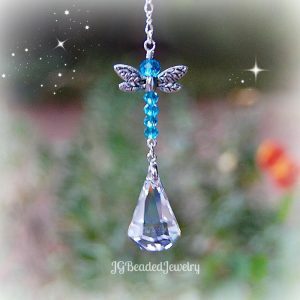 This Swarovski rainbow prism crystal decoration is uniquely designed using a gorgeous 30mm Clear AB prism which has a partial aurora borealis finish that increases the rainbow effect when in direct sunlight. 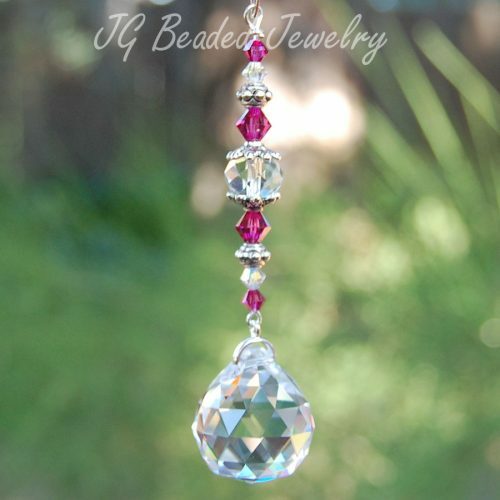 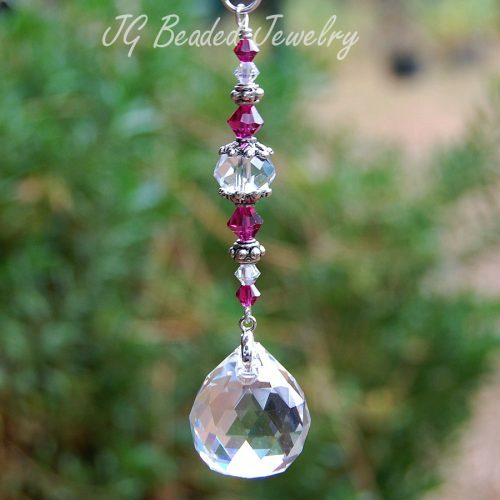 The prism crystal ball is wire wrapped by hand for strength with flawless Austrian Swarovski crystals and fancy silver metal beads to accent the rainbow colored Swarovski crystal beads. 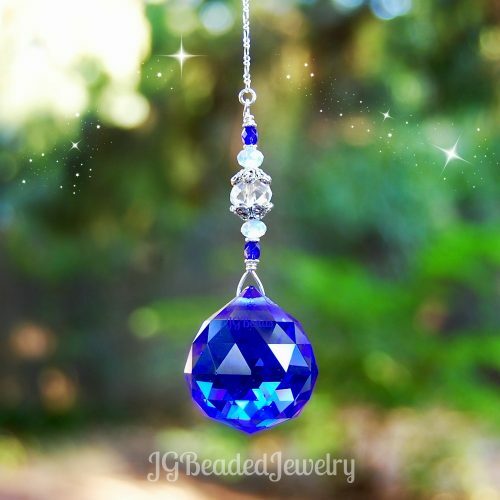 Swarovski is known worldwide for quality and precision cut crystals! 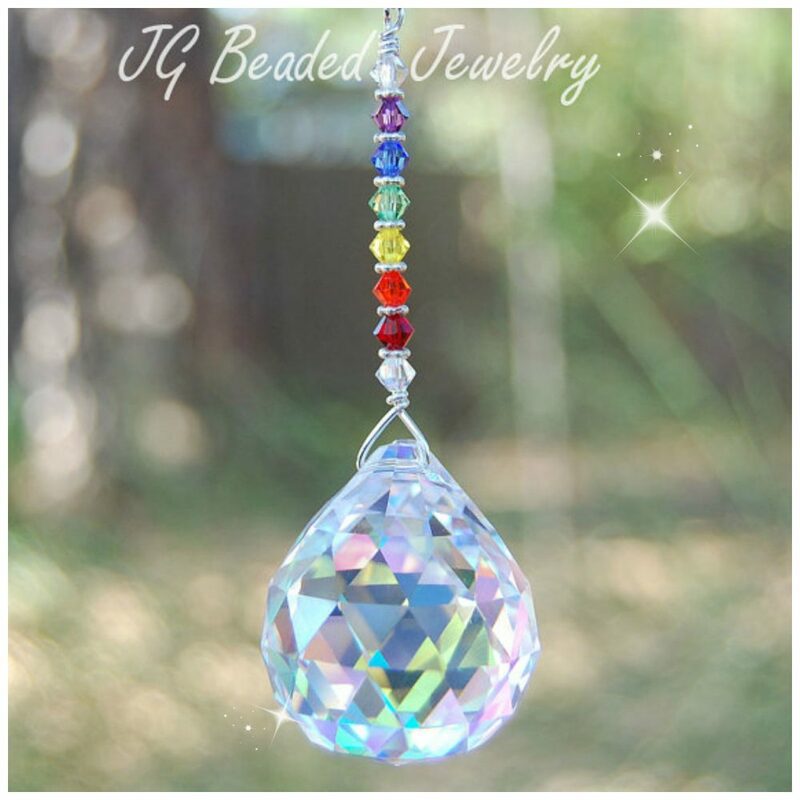 ♥ This rainbow prism crystal decoration is also available in a larger size suncatcher here!